MPs are trying to influence the Brexit process in a number of ways, as Theresa May continues her bid to get the EU to change the deal. The prime minister has asked MPs to approve a motion on Thursday simply acknowledging that process is ongoing and restating their support for the approach. Several MPs tabled amendments setting out alternative plans and Commons Speaker John Bercow has selected three to be put to a Commons vote. Even if they won the backing of a majority of MPs, the proposals would not be binding on the government. However, they could put pressure on Mrs May to change course. She has adopted proposals from two successful backbench amendments tabled in January. One asked her to seek alternatives to the “backstop”, which aims to prevent the return of customs checkpoints on the Irish border in the event that no trade deal has come into force. The other rejected leaving the EU without a formal exit deal. The selected proposals are below. Use our guide to Brexit jargon or follow the links for further explanation. Requires the government to either give MPs a vote on the withdrawal agreement and political declaration on future UK-EU relations by 27 February, or make a statement saying there is no longer an agreement in principle with Brussels and so allow MPs to vote on – and amend – its planned next steps. 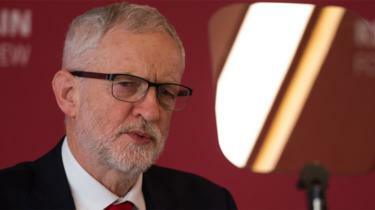 Labour Leader Jeremy Corbyn’s amendments are considered unlikely to receive the necessary backing from Conservative backbenchers to succeed. Liberal Democrat leader Sir Vince Cable has tabled a bid to change the wording of this amendment to delay the Brexit date to allow for a referendum on the deal, with the option to remain in the EU. Seeks to postpone the Brexit date by at least three months. This has the backing of Liberal Democrats, as well as the SNP contingent. Instructs the government to publish within seven days “the most recent official briefing document relating to business and trade on the implications of a no-deal Brexit presented to cabinet”. This has the backing of some mostly Remain-supporting Labour and Conservative backbenchers. Does the government motion face defeat? The government may well fight off these attempts to amend its motion. But even if it does, it is not guaranteed to win the subsequent vote. Some Conservative Brexiteers in the European Research Group (ERG) have indicated they will refuse to back the government. They are angry because the motion not only supports the view backed by a majority of MPs last month that the government should seek an alternative to the “backstop”, but also a separate move to stop Brexit happening without a formal deal, which the Commons supported at the same time. Most MPs want to avoid a no-deal scenario, fearing chaos at ports and disruption to business. However, some Brexiteers have played down that prospect, arguing it is an example of “Project Fear”, and say the no-deal option offers leverage in negotiations with Brussels.